Cytarabine (CY) is an anticancer drug which has been identified in wastewater influents, effluents, and surface waters. In the present study, the degradation of CY under simulated solar light (SSL), by photo-Fenton (Fe3+/H2O2/SSL) and photo-Fenton-like processes (Fe3+/S2O82−/SSL and [Fe(C2O4)3]3−/H2O2/SSL), was investigated. The major parameters affecting the applied treatments (e.g., concentration of CY, Fe3+, H2O2, and S2O82−) were optimized and CY’s complete removal was achieved within 45 min for all techniques used. Mineralization studies indicated that [Fe(C2O4)3]3−/H2O2/SSL treatment was the most efficient procedure since faster kinetics are achieved and higher mineralization percentage is reached compared to the other techniques used. Furthermore, 12 transformation products (TPs) were identified during the applied processes, by high resolution mass spectrometry, four of which were identified for the first time, indicating that CY molecule undergoes hydroxylation and subsequent oxidation, during the applied processes. 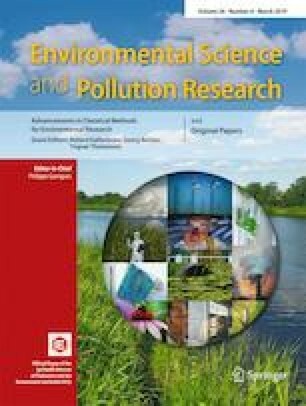 Moreover, predictions of acute and chronic ecotoxicity of CY and its TPs on fish, daphnia, and green algae were conducted, using in silico quantitative structure activity relationship (QSAR) calculations. According to these predictions, the TPs generated during the studied treatments may pose a threat to aquatic environment. Finally, the efficiency of CY degradation by photo-Fenton and photo-Fenton-like treatment in real wastewater was evaluated, under the optimized conditions, which resulted in lower degradation rate constants compared to ultrapure water. The online version of this article ( https://doi.org/10.1007/s11356-018-4019-2) contains supplementary material, which is available to authorized users. The authors would like to thank the Unit of LC-MS/MS of the Aristotle University of Thessaloniki for providing access in the facilities. This research has been co-financed—via a program of State Scholarships Foundation (IKY)—by the European Union (European Social Fund—ESF) and Greek national funds through the action entitled “Strengthening Human Resources Research Potential via Doctorate Research” in the framework of the operational program “Human Resources Development Program, Education and Lifelong Learning” of the National Strategic Reference Framework (NSRF) 2014–2020.